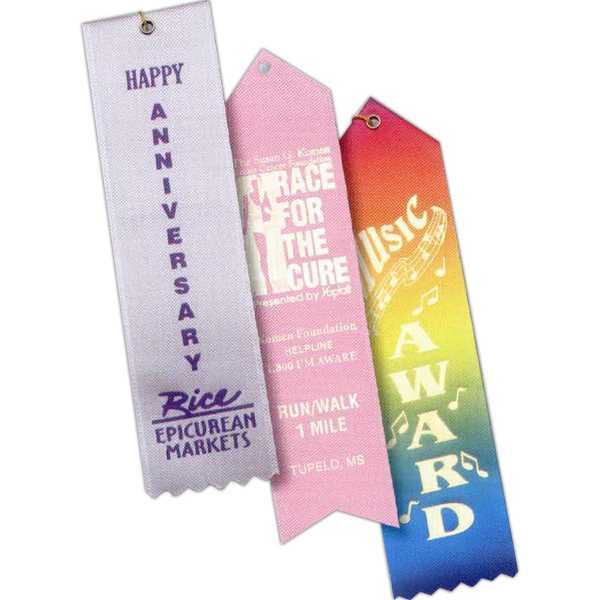 2 1/2" x 10" - Custom premium grade promotional ribbon with finished top. Choose pinked or scissortail bottom. Size: 2 1/2 " x 10 "